Denon has announced the arrival of its latest all-in-one Blu-ray system, the S-5BD. The Denon S-5BD, or Cara as it is more affectionately known, is Denon's attempt at making its high-end AV kit more affordable. Combining an 5.1-channel surround sound amplifier with a Blu-ray player, Denon has managed to snaffle some of the technology used in its £4,500 DVD-A1UD Blu-ray player, combine it with an amplifier which pipes out nearly 400W of sound. Also on-board is a Compressed Audio Restorer, which promises to get better sound out of your MP3s and support for Dolby Pro Logic IIz and Dolby TrueHD/DTSHD Master Audio. The system is Profile 2.0 and HDMI 1.4 compatible, so you will be able to spin those 3D-Ready Blu-ray discs when they make an appearance later in the year. Price-wise, it's going to retail for £1,999. Yes, it's expensive but compared to some of the kit released by Denon, it's a bit of a steal. 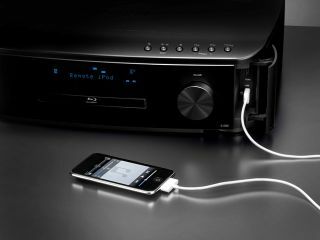 Got to www.denon.co.uk for more information.